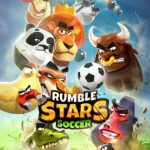 Though developer Frogmind has not yet confirmed the final release date, we know that Rumble Stars Soccer, a new arcade sports game for mobile platforms, will be released worldwide soon. With excellent previous releases such as Badland Brawl, the developer promises to deliver a fast-paced and unique gaming experience. 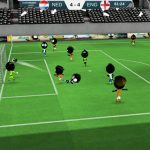 Rumble Stars Soccer is a multiplayer soccer game that challenges players to take control of a team of animals, participate in thrilling matches and lead it to victory. There will be a wide range of characters to enjoy in the game and high-quality gameplay mechanics. As they progress through the game, players will be able to unlock more Rumblers. You will be able to create your own football club or, if you prefer, join an existing one. The Rumble Stars TV, an in-game feature, will allow you to watch the best players as they play and learn new tricks. If Rumble Stars Soccer sounds like an interesting game, you can already pre-register for it on Google Play. 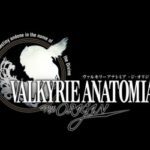 As of now, pre-registration is not open globally on the App Store, being available only in Italy, Spain, Portugal, Russia, and Australia. At Level Winner, we have already tested the game and published some tips and tricks. These tips may come handy once the game is officially released, so be sure to head over to our Rumble Stars Soccer beginner’s guide whenever you need some help!